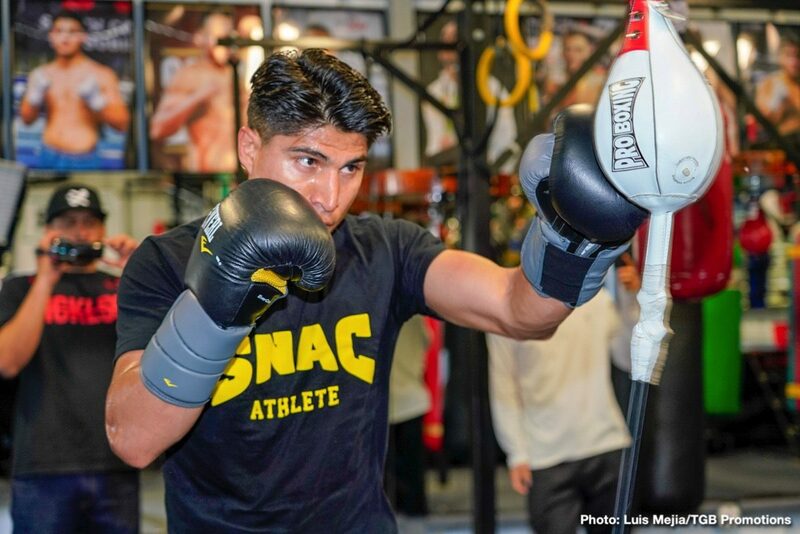 Very possibly the most intriguing fight of the year, one between two fine fighters with a combined 63-0 record, will take place this Saturday night in Arlington, Texas, as IBF welterweight champ Errol Spence defends against four-weight champion Mikey Garcia. Garcia is going for history while Spence is aiming to become, in his words, “a superstar” with a big win. The odds favour the naturally bigger man, but Garcia is incredibly confident he will pull off the upset. Spence, who indeed deserves huge credit for, as the saying goes these days, “daring to be great,” added how “in the moment, there’s no-one else really doing this.” But has Garcia bitten off way more than he can chew? Garcia won his first would title down at featherweight, and as fans know, it’s a big jump up from 126 pounds to 147. Of course, Garcia has gone up the weights quite gradually, but it’s a big enough jump from 140 – this being the highest Garcia, 39-0(30) has yet boxed at – to 147. Spence, 24-0(21) could land something big early, perhaps stamping his authority on the fight right away. If this happens it will be a very tough night for Garcia. Spence does believe he will win by KO, and maybe he will. Can Garcia hurt Spence though? If it comes down to skill more so than power, who knows, maybe Garcia can do it, box and move and win a decision. Garcia is going for history but history tells us he has taken too big a task. Garcia will do well to see the final quarter of the fight on Saturday. Spence simply has too much in his favour.